Our design staff hears questions every day about carpet. They are available to help you make the best flooring selection for your home and budget. Have a question about carpet? We have the answer. Loop or textured carpets are the best at standing up to lots of wear and tear. These carpet fibers are twisted and/or looped over to present a tougher surface that doesn't wear down as easily as plush, cut pile carpets. These carpets are still very comfortable and offer all the quieting, warming benefits of carpet. Learn more about types of carpet available at Indianapolis carpet store, Kermans. What is the best way to clean carpet stains? Learn more in our Carpet Care Guide. What is the best carpet for dogs and cats? Many pet owners shy away from carpet simply because it is harder to clean with shedding, messy pets. That doesn't mean you can't have carpet though. When you have cats or dogs you should look for carpet that has cut pile so it won't catch on their claws. You'll also want carpet with solid stain resistant fibers. Karastan's SmartStrand is a very durable, stain resistant option that can be great for homes with pets. See other pet-friendly flooring choices. Where can I find affordable carpet in Indianapolis? We're glad you asked! Kermans flooring is your best resource for carpet in Indianapolis. As a family-run, customer-focused business, Kermans offers something no big store can claim: unparalleled customer service and custom recommendations from our free design staff. 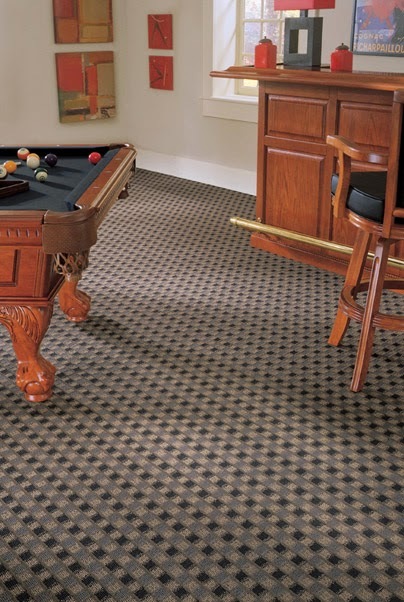 Our carpet selection is designed to meet the needs of any budget. There's a reason we've been Indianapolis' best flooring store since 1921 - we call it the Kermans Advantage. Kermans is an Indianapolis flooring store with a wide variety of carpet, wood flooring, tile and area rugs. We've been in business since 1921 and can be found on the northside of Indy in the Castleton area - easily accessible from I-465. Our decades of experience have made us Indianapolis' flooring experts. We invite you to visit our carpet store and see for yourself! Not in conjunction with any other offer. *Select styles available, see store for details. When you are looking for new carpet, look no further than Indianapolis flooring store Kermans. Stop by our showroom on the northside of Indianapolis and talk to our helpful staff about your flooring needs. We look forward to meeting you!